LONG ISLAND PULSE MAGAZINE HOSTS ANNUAL “ISLAND TASTING” TO BENEFIT ISLAND HARVESTDespite the effects of Hurricane Sandy, Long Islanders joined together at Huntington’s Coindre Hall to raise awareness and funds to fight hunger.Huntington, New York – Resilience was the overriding theme last night as three hundred guests poured through the exquisite doors of Coindre Hall, in honor of Long Island Pulse’s Island Tasting, the event to support Island Harvest, our island’s biggest food rescue organization. Despite still damaged roads in this predominately water front town of Huntington, guests swarmed to Coindre Hall, to taste delicious offerings from over twenty of Long Island’s top restaurants and food, wine, and spirit vendors, as they bided on luxury raffles throughout the night and danced to the live jazz trio. 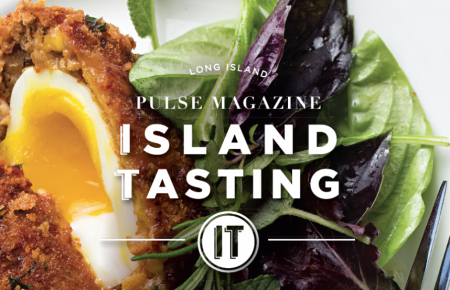 To stay posted on upcoming events hosted by Long Island Pulse Magazine, sign up for their newsletter on www.lipulse.com, and get connected through their social media sites, by visiting: facebook.com/LI.Pulse and twitter.com/longislandpulse.